Photo courtesy of the Utah Food Bank. 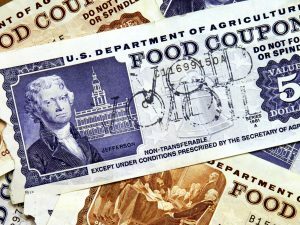 Families in Cache Valley that rely on food stamps will be getting February’s benefits early. State officials who administer the Supplemental Nutrition Assistance Program (SNAP) said recipients can expect to see next month’s benefits loaded on to their EBT cards over the next few days. Dale Ownby, the Division Director who oversees Utah’s SNAP program, says the partial government shutdown is having an impact on the federal food program and they are trying to get ahead of any potential issues. Ownby is urging recipients to ration their benefits, as no funding is in place for March’s food stamp allotment. According to Utah’s Department of Workforce Services statistics, more than 6,500 households in Cache Valley receive nutrition benefits through the federal SNAP program. Gina Cornia, Director of Utahns Against Hunger, says the vast majority of those who receive SNAP benefits are children, seniors and people with disabilities.